This is an ibook (NOT a physical book) that can be read only on iPad, iPhone, iPod with iBooks app. 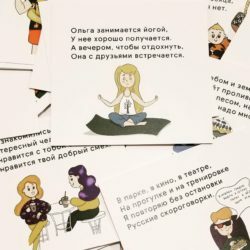 After observing students in my Russian language classes over the course of seven years, I’ve realized that one learning technique seems to be quite popular and continues to resurface in each class. Many of these students memorized sets of phrases in the very early stages of their learning journey. 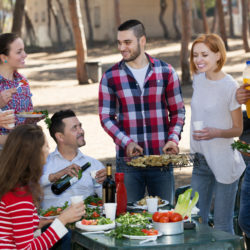 Once they ingrained these patterns into their head, they were able to effortlessly apply them to both written and oral exercises. 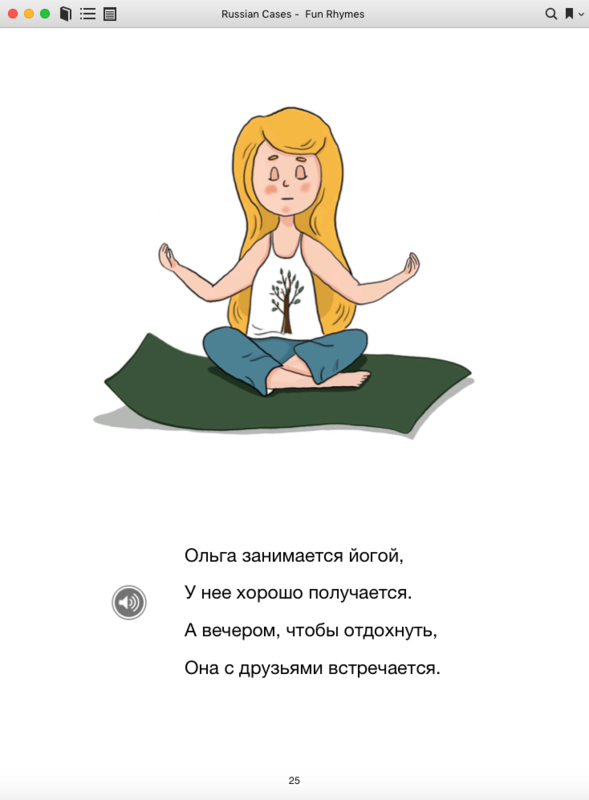 Based on this observation and recent research, I’ve developed this book of simple Russian poems. Each poem also comes with audio so that you can learn how to pronounce the words correctly. 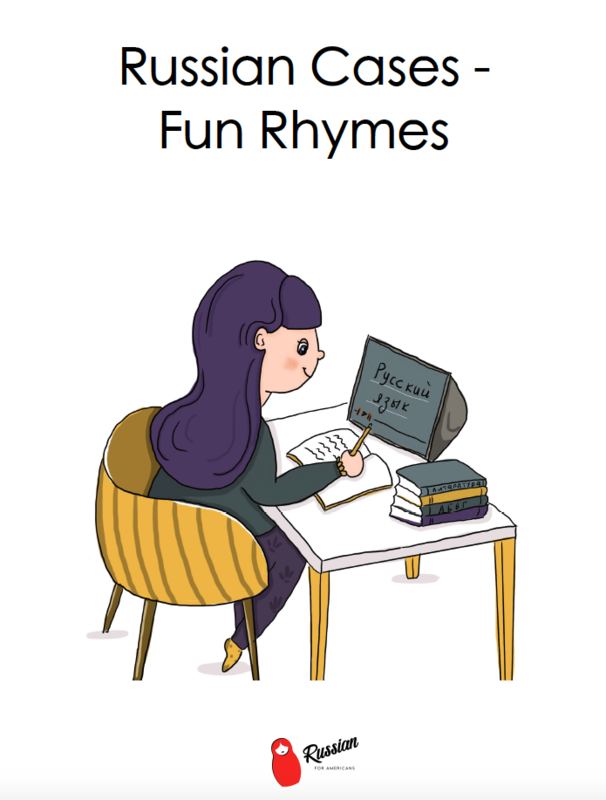 To help you remember the rhymes, you will also find engaging and colorful illustrations for each poem. 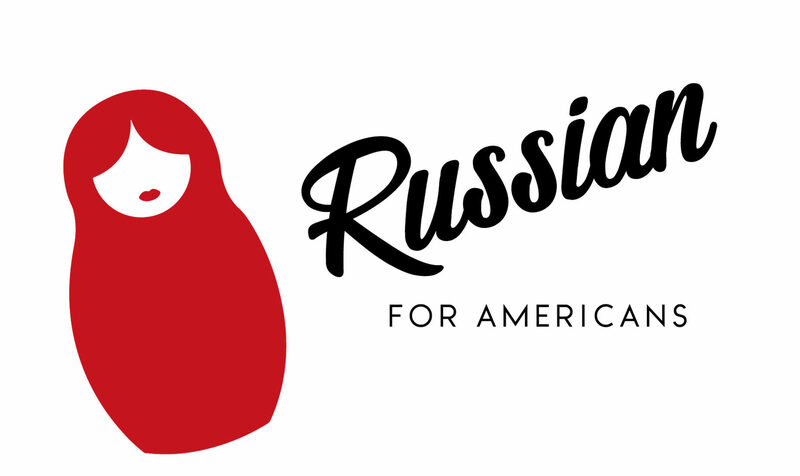 By memorizing these 25 poems, you will learn the 25 most common usages of the six Russian cases without ever thinking about grammar! 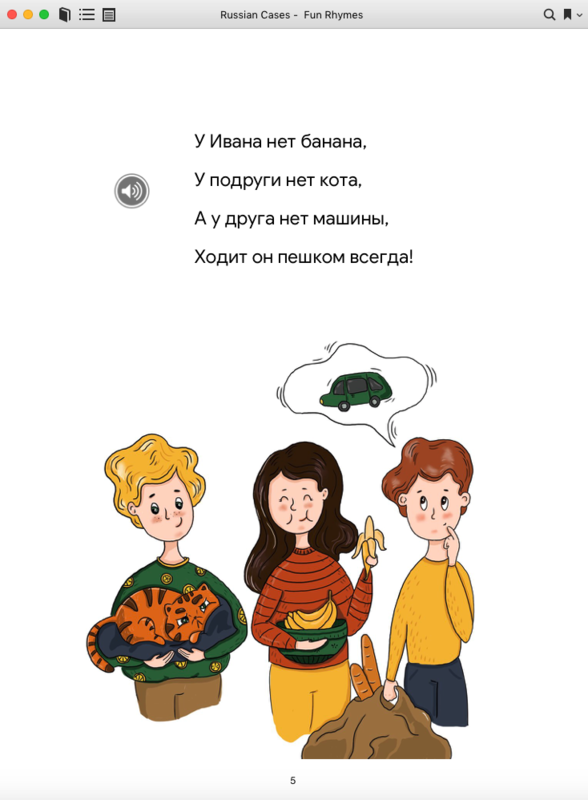 Although this book is intended for adults, it can also be shared with the whole family, to help your children learn the Russian language as well.